There are plenty of places you can get great, fresh sushi in Niseko, but the exquisite Sushi Shin is a cut above the rest. How far above? Two of the head chef’s restaurants have been awarded three Michelin stars. While Michelin hasn’t put out a new guide since Sushi Shin was opened, you can be assured this Annpuri establishment also is as good as it gets. As a teenager in central Hokkaido, Masaaki Miyakawa often played willing “sous-chef” in the family kitchen. But he found the greatest pleasure after his mother served their creations to visitors and witnessed their enjoyment. More than 30 years on Miyakawa-san derives the same buzz in his “Edomae” sushi restaurants – an intimate style of dining where the chef prepares dishes right in front of the diner and serves it to them directly from across the counter, along with plenty of back and forth conversation. 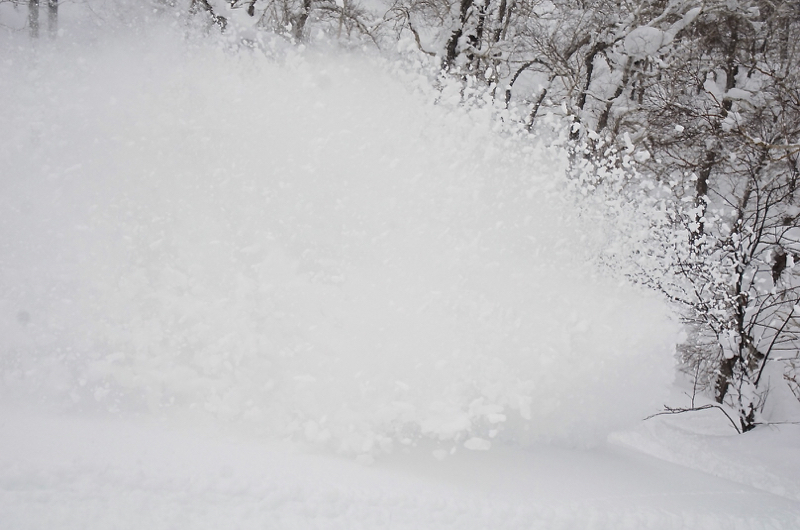 Miyakawa-san is a new entrant to Niseko’s burgeoning gourmet restaurant scene. 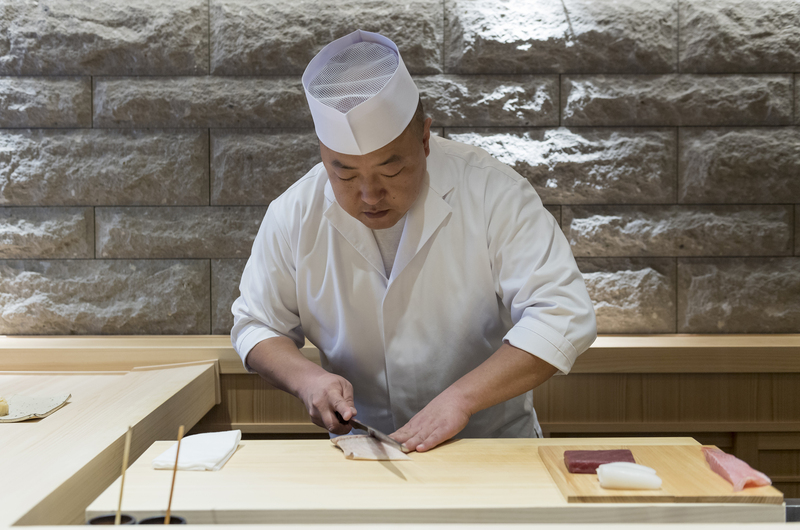 Sushi Shin is his first venture after being awarded three Michelin stars for his three-year-old Sapporo restaurant, Sushi Miyakawa. 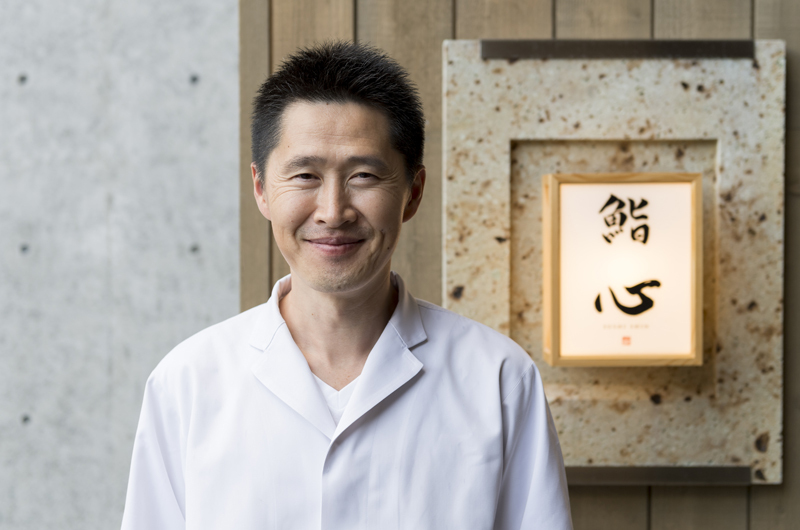 Previously he steered Hong Kong restaurant Sushi Shikon from two to the coveted three stars. 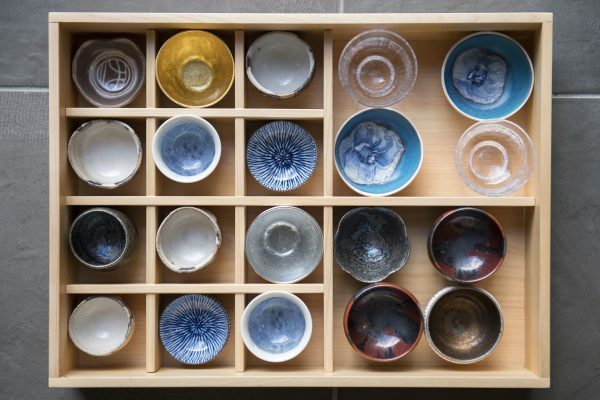 Over his career, 47-year-old Miyakawa-san has absorbed many influences to develop his style. Edomae literally translates to “in front of Tokyo Bay” – “Edo”, the old name for Tokyo, and “mae” meaning “in front of”. Edomae sushi was an early form of sushi dining born around the 1800s when sushi was prepared and sold from stands on the streets. Because there was no refrigeration and the catch needed a long shelf life, fish were kept in soy sauce, salt and vinegar or broth to help them retain the raw texture and prevent spoiling. It was also the first time raw fish started being served with rice and also usually wasabi for its antibacterial properties. 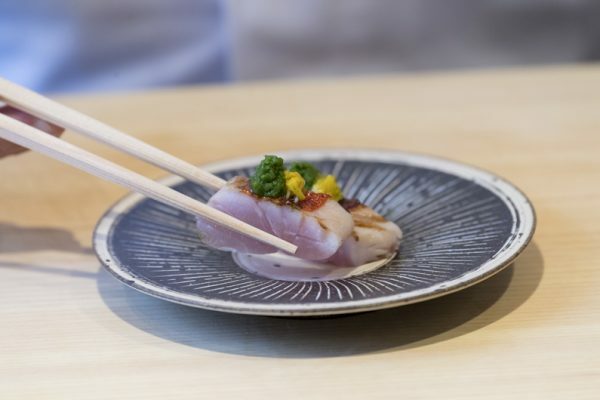 Essentially, Edomae sushi was an early form of Japanese fast food, however Miyakawa-san’s approach tends in a slower direction, offering an all-encompassing gourmet sushi experience with entrées, matching drinks and dessert. 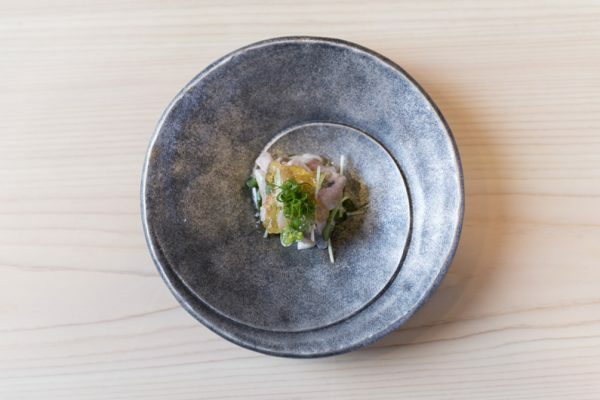 His choice of Niseko for the new venture combines his love of the sushi restaurant style of eating and his desire to introduce excellent Japanese food to an international audience – a passion kindled during his stint in Hong Kong. 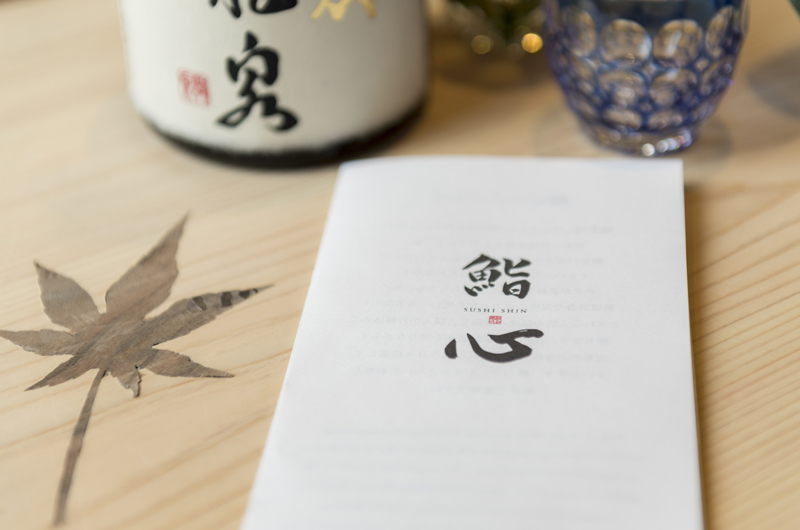 Miyakawa-san approaches all aspects of dining passionately, including the restaurant’s ambience. Located in luxurious Annpuri condominium Kamui Niseko, Sushi Shin is a sensual experience. Its expansive hinoki (Japanese cypress) wood counter fills the intimate atmosphere with forest freshness. Inlaid into the counter are contrasting Japanese momiji maple-leaf-shaped cutouts crafted in dark kurogaki persimmon. Miyakawa-san says he notices customers absent-mindedly rubbing their hands across the counter as they enjoy its soft, smooth feel. Having not mastered the art of being in two places at once, Miyakawa-san meticulously trains staff in his ethos. 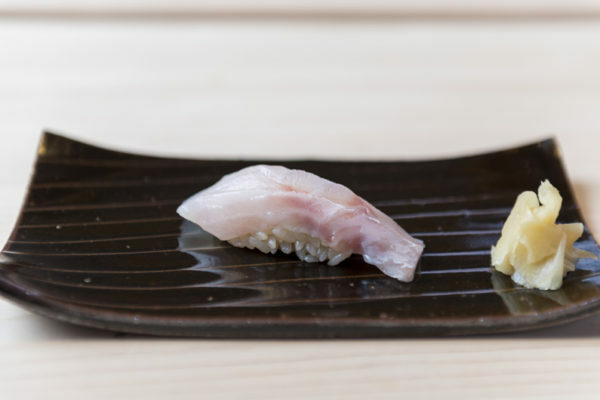 Sushi Shin is in the capable hands of Hironori Satake, a chef of 20 years. The counter seats a maximum of eight within easy conversation distance from Satake-san who flourishes his razor-sharp, 30-centimetre steel Honyaki knife with samurai-like skill. 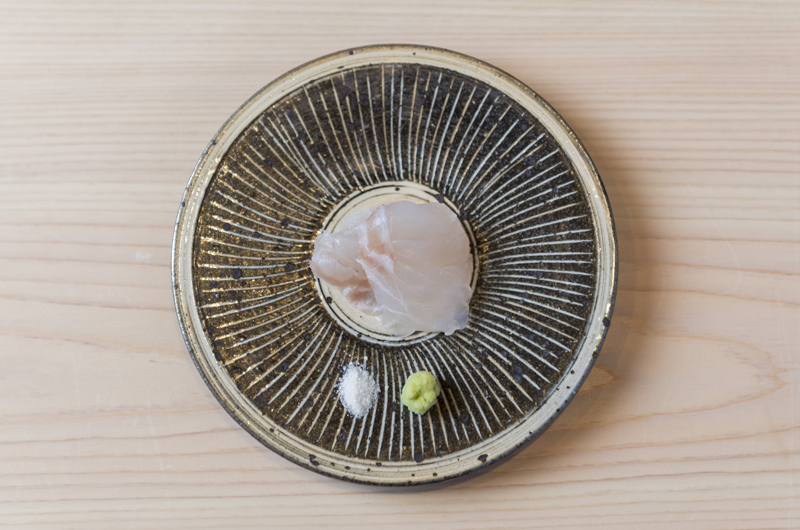 Satake-san sources his produce from four major centres including Tokyo’s famous Tsukiji fish market. His techniques include ageing fish (sometimes for up to two weeks) and other Edomae methods including marinating or refrigerating fillets between sheets of kelp. Dining includes watching him grate a large portion of fresh wasabi, which can sell for ¥20,000 (US$200) a kilo in the markets. Miyakawa-san’s long training encompassed internships at various restaurants, including French and Italian. One was the Michelin three-star Moliere in Sapporo, run by French-trained Hiroshi Nakamichi. Miyakawa-san says he met Nakamichi-san again at the Michelin awards function earlier this year, but the master chef didn’t remember him! With Miyakawa-san’s star well and truly on the rise, it seems unlikely that will happen again. SUSHI SHIN is available for bookings. I can’t stop riding and cleaning snow! !